Since November 2017, the Advarra team (formerly Chesapeake IRB and Schulman IRB) has been working to integrate our processes and policies, leveraging mutual strengths in technology, regulatory expertise and customer service to provide clients with high quality research reviews and unparalleled efficiencies. In the last few months we’ve made a lot of progress, and we’ve been keeping in touch with clients via email, website postings and direct communications to make sure you have the latest information on our integration efforts. If you don’t already receive our newsletter, consider subscribing here so you’re sure to receive timely updates. We are committed to being transparent and communicative throughout this integration so that you have the information you need to continue your work with as little interruption as possible. As part of that commitment, we’ve assembled the following updated FAQ. If you don’t see your question addressed here, please contact your Study Coordinator or Study Manager or email info@advarra.com. Advarra (legacy Schulman IRB), Chesapeake IRB, IRB Services and Falcon Consulting Group are affiliate entities which share the common parent company of CS Intermediate Inc.
Advarra’s payment information is the same as legacy Schulman’s, and Chesapeake’s information remains unchanged. Vendors will simply need to update the vendor name. A W-9 is available to reflect the change in name. Requests for Advarra’s W-9 should be sent to AccountingTeam@advarra.com. Should we make a change in payment information for any entity, it will be communicated to all customers and vendors via written notifications that share the new payment information. Yes, requests for Advarra’s W-9 should be sent to AccountingTeam@advarra.com. Advarra will honor negotiated fee schedules for clients who have legacy contracts with Schulman and Chesapeake. Advarra will also honor all fee schedules in place from 2017 that govern protocols submitted prior to January 1, 2018. All other clients have been updated to a new Advarra fee schedule, effective January 1, 2018. Fee schedule requests should be sent to BusinessDevelopment@advarra.com. 1. I have an MSA with both Schulman and Chesapeake. What should I expect? Contracts with Chesapeake Research Review, LLC remain valid; however, Advarra’s contracts team will be issuing amendments to current MSAs to indicate the name change/assignment from Chesapeake IRB to Advarra, Inc. You will receive communication directly from Advarra’s Contracts Team. Questions regarding contract status should be sent to CPG@Advarra.com. Contracts with Schulman Associates Institutional Review Board, Inc. remain valid; however, Advarra’s contracts team will be issuing amendments to current MSAs to indicate the name change/assignment from Chesapeake IRB to Advarra, Inc. You will receive communication directly from Advarra’s Contracts Team. Questions regarding contract status should be sent to CPG@Advarra.com. Contracts with IRB Services remain valid, and currently there are no plans to assign those agreements. Questions regarding contract status should be sent to CPG@Advarra.com. Falcon Consulting Group, Inc. will be changing its legal name to Advarra Consulting, Inc. This will not affect the validity of these contracts. The Advarra Contracts Team will send out a legal notice of name change in the coming months. There is no action required by current clients. Questions regarding contract status should be sent to CPG@Advarra.com. Provision contracts will be assigned to Advarra Consulting Inc. The Advarra Contracts Team will send out a legal notice of assignment in the coming months. There is no action required by current clients. Questions regarding contract status should be sent to CPG@Advarra.com. 7. I have a Reliance Agreement or Global IAA with Chesapeake. What should I expect? 8. I have a Reliance Agreement or Global IAA with Schulman. What should I expect? Schulman’s IRB registration with OHRP/FDA and its FWA with OHRP have been renamed to Advarra (d/b/a Schulman IRB). Once effective, Advarra will release a Note to File to clients which they should store with their contracts. No other action will be necessary. 1. What is the impact of the merger and name changes to 1572s? Since the 1572 is a sponsor form, the sponsor should ensure they have the appropriate contact information for the IRB; the contact information for Chesapeake or Schulman IRBs will not change. FDA is aware of the merger and have indicated that clients should email gcp.questions@fda.hhs.gov with any further questions or confirmation regarding updates to 1572s. Prior to April 30th Schulman eTools "Schulman IRB"
Prior to April 30th Chesapeake CIRBI "Chesapeake IRB"
After April 30th Advarra CIRBI Platform "Advarra"
2. We need to audit Advarra or Advarra Consulting as a new vendor. How should we set this up? Any customers who wish to audit Advarra as a new vendor may request and schedule an audit by sending an audit request to qualityassurance@advarra.com. Any customers who wish to audit Advarra Consulting as a new vendor may request and schedule an audit by calling us at 610-363-0815 or sending an audit request to qualityassurance@advarra.com. 3. How is Advarra Consulting ensuring its status as an independent consultant? While Advarra Consulting will work in conjunction with our other affiliates to deliver Clinical Quality Assurance (CQA), GxP consulting, and Human Research Protection (HRP) consulting services to our customers, Advarra Consulting will maintain a separate legal entity and reporting structure under the Advarra parent company. 4. How is Advarra Consulting avoiding conflict of interest in serving both CROs and Pharma companies? Advarra Consulting appropriately identifies and separates requests for services from Pharma Companies and CRO’s to make sure that the proposal process, the assignment of resources and the management of project information and reports remain separate and distinct from one another. 5. How will legacy Provision (HRP and GCP) consulting requests be handled from the perspectives of Project Management and Business Development? 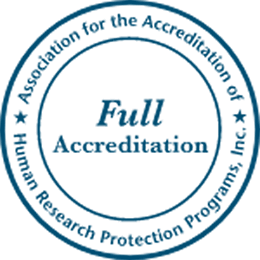 The Human Research Protection (HRP) consulting services under Provision have been incorporated into Advarra Consulting. Moving forward, we will contract CQA, HRP and GCP/GXP consulting services under Advarra Consulting. The model for delivery of the services is the same – a dedicated Program Lead will be assigned to oversee the project management and quality aspects of the work and services will be provided by qualified consultants, as appropriate.